wraps around the wrist, the joint where the arm meets the hand, and helps support the joint and restrict movement. The brace often extends part way up the arm and down onto the hand, with a band that covers the area between the thumb and the fingers. 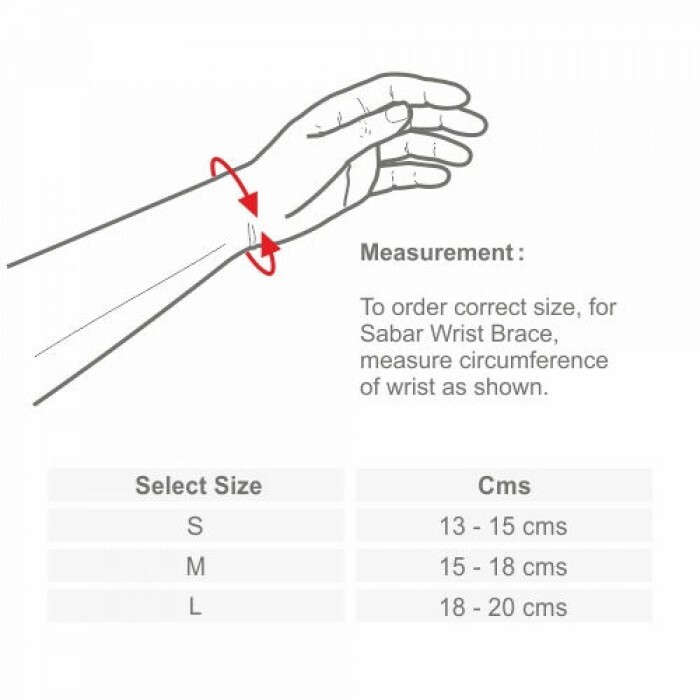 Sabar wrist brace is usually worn to support the ligaments and muscles of the wrist when they have been injured or impaired. 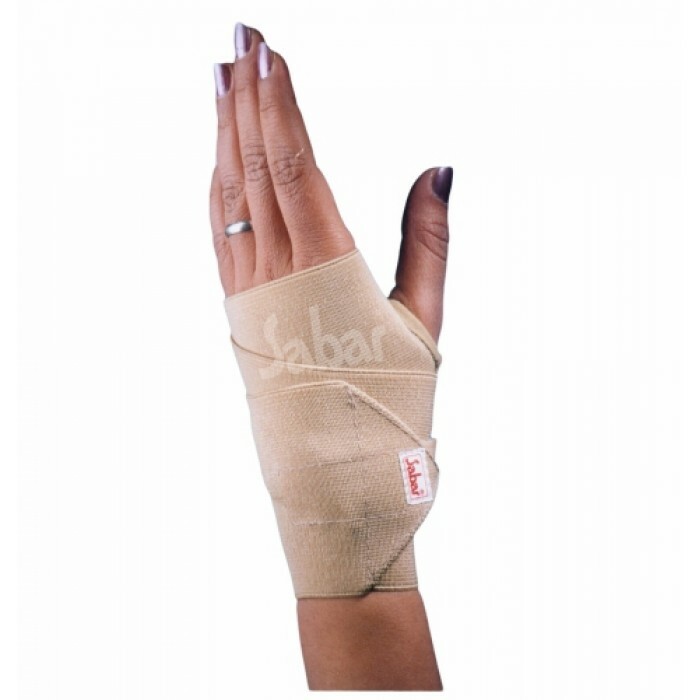 Wrist brace is designed to immobilize the wrist and upper bone to relieve pain form post-fracture Bursitis Micro trauma, Strains, Sprains, Tenosynovotis, Arthritis and other conditions requiring orthopaedic support. Made from 75 mm finest quality virgin elastic. Convenient and easy to wear and adjust. Adjustable Hook and Loop Fasteners. Sizes : Product is available in S, M, L sizes. These are Original and Genuine SparesBrass Nut and Bolts ( Four sets)Fixing Instructions will provid..
Sabar Elastic Rib belt : is specially designed unisex belt to provide firm & stable support to t.. Heating Pad - Sabar Heating Belt – HB 950 delivers controllable, gradual, penetrating and soothing h..